When Fortune 500 companies need to reenergize or reinvent a lagging brand, they call Steve Stoute. 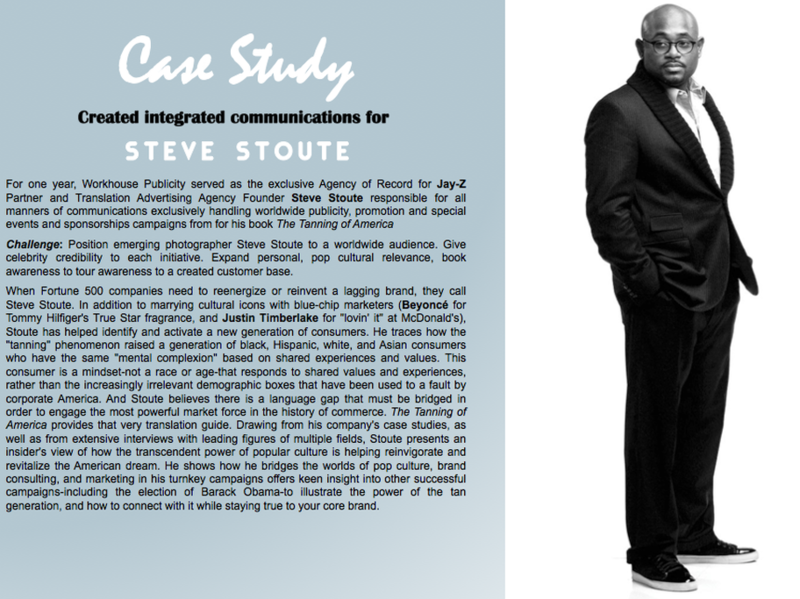 In addition to marrying cultural icons with blue-chip marketers (Beyoncé for Tommy Hilfiger's True Star fragrance, and Justin Timberlake for "lovin' it" at McDonald's), Stoute has helped identify and activate a new generation of consumers. He traces how the "tanning" phenomenon raised a generation of black, Hispanic, white, and Asian consumers who have the same "mental complexion" based on shared experiences and values. This consumer is a mindset-not a race or age-that responds to shared values and experiences, rather than the increasingly irrelevant demographic boxes that have been used to a fault by corporate America. And Stoute believes there is a language gap that must be bridged in order to engage the most powerful market force in the history of commerce. The Tanning of America provides that very translation guide. Drawing from his company's case studies, as well as from extensive interviews with leading figures of multiple fields, Stoute presents an insider's view of how the transcendent power of popular culture is helping reinvigorate and revitalize the American dream. He shows how he bridges the worlds of pop culture, brand consulting, and marketing in his turnkey campaigns offers keen insight into other successful campaigns-including the election of Barack Obama-to illustrate the power of the tan generation, and how to connect with it while staying true to your core brand.